Hullo, my first article here, and I’m blithely taking on Telepathy. 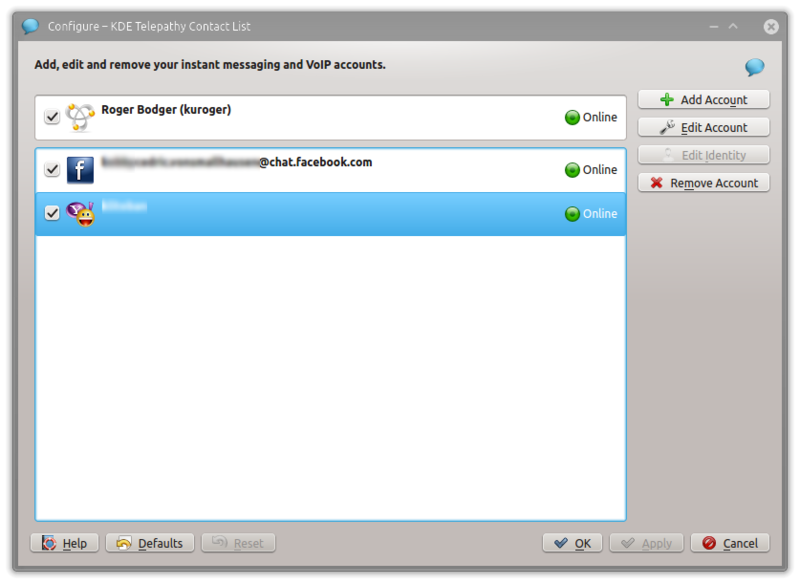 Officially, Telepathy is a software framework which can be used to make software for interpersonal communications such as instant messaging, Voice over IP or videoconferencing. Telepathy enables the creation of communications applications using components via the D-Bus inter-process communication mechanism. Through this it aims to simplify development of communications applications and promote code reuse within the free software and open source communities by defining a logical boundary between the applications and underlying network protocols. But that’s geek lingo. 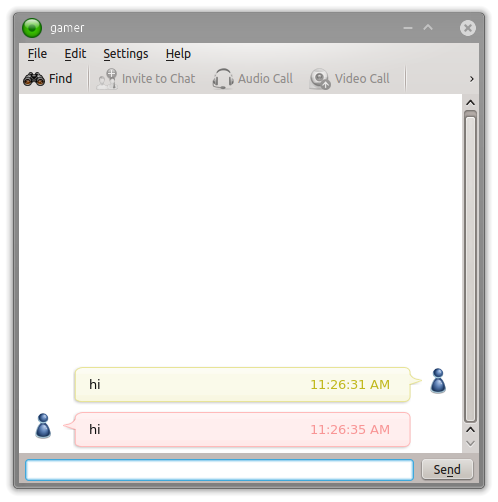 For normal people, this is an instant messaging client with additional audio and video features. We checked. You may or may not have friends, but most of us do use instant messaging and video conferencing to some measure. Often, people use several client programs for different purposes. Like Pidgin and Empathy, Telepathy aims at consolidating all your messaging efforts, i.e. all your messages are belong to us (not a typo), in a single interface. Indeed, Telepathy supports multiple protocols, which we will examine shortly. I set up Telepathy on Kubuntu 12.04 Precise Pangolin. 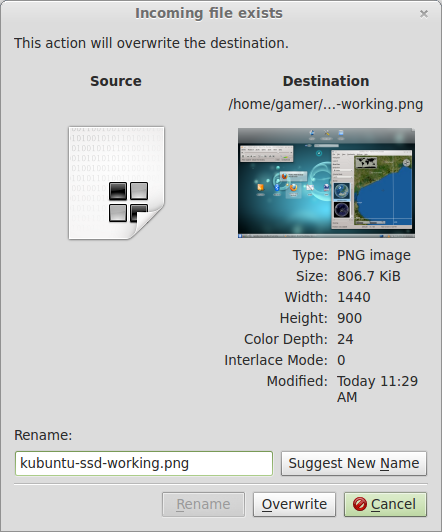 The installation is a simple affair, provided you know the name of the program, which hides under kde-telepathy. It went smoothly. On first launch, I was asked to configure some accounts. 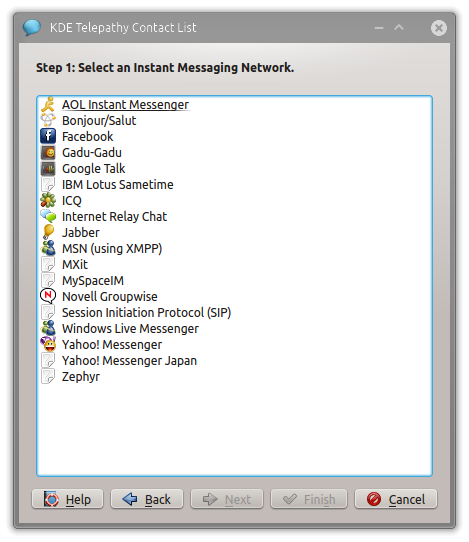 The wizard offers several most popular account types from its main interface, including Jabber, Google Talk, Facebook Chat, ICQ, and Windows Live Messenger, but you can expand the view to see the full list, which covers AOL, Bonjour, IRC, Sametime, Yahoo! Messenger, and many others. To get started, I decided to try using Yahoo!, then Facebook, and finally local network discovery, which should be able to detect other users presented on my LAN. 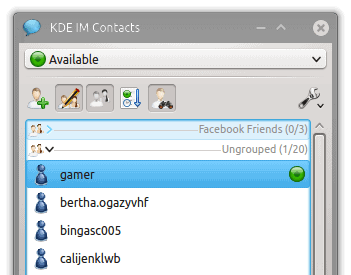 Once you configure your accounts, they will show up in the main interface, which is labeled rather ambiguously as KDE IM Contacts. Both Yahoo! and Facebook accounts worked side by side without any conflicts. In fact, it’s all rather neat. 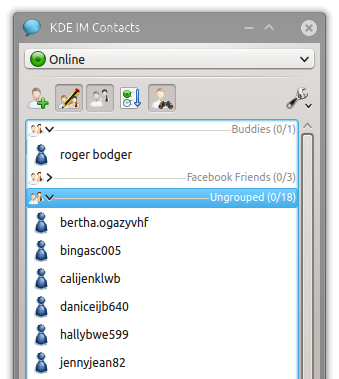 You get several expandable groups of contacts, imported from your user accounts. You also get a bunch of other users present on the Yahoo servers, under the ungrouped category. The experience was quite interesting – and not at all what I expected. Upon connecting to a Yahoo! account, I was instantly bombarded by invitations to enhance my masculinity and flirt with bots across the Web. No matter. On another Linux box, I connected to a second Yahoo! account. I wanted to see whether the two would become visible to one another. After a short while, the second account did pop into view, but it was listed as Offline. Similarly, my own account showed as offline on the other machine. I was able to send chat messages and initiate a highly schizophrenic and perhaps somewhat sad self-talk. However, audio and video calls were grayed out. I am not 100% certain if this is the inherent fault of the selected protocol, or if perchance Telephaty is unable to utilize the the full set of features present in the organic IM clients. With local network discovery, it was a tad more interesting. The local user showed online with a little green icon near the name. Telepathy did not user the user account profile picture as the avatar. I was able to chat with myself again without any problems. Once more, audio and video call features were disabled. However, user status changes are properly reflected in the chat window on the other side. Then, I discovered a rather disturbing fact. You can send, as well as receive, files to/from local users without any prompt. This means that you can send pictures, useful documents, as well as huge volumes of spam to your local network colleagues without them even being aware that their user directory is being filled with data. There could be perfectly benign reasons for sending files across the network, but you might as well end up with 10GB worth of junk, or potentially malware. No interaction is require to shuffle content back and forth. In fact, the only time the file transfer paused was when I tried to copy the same file over twice, and it was only at the far end that the transaction stopped, as the remote user was prompted if they wanted an existing file overwritten. Imagine receiving a thousand files that coincidentally have the exact same names like your own data in the home directory. Imagine the surprise, as well as the hassle of fighting the prompts. As a multiple-protocol IM client, Telepathy would benefit from some extra appeal and feature improvements. The interface is bland and uninviting. It looks more like a shopping list than something holding names and pictures of your valued friends, or at least people who help you cope with boredom. Then, it might be entirely my fault, but none of the selected protocols allowed audio or video calls, which could be perfectly fine and by design, but the work flow did leave me wondering. The inability to see the user status with Yahoo! is also on the me-wonders list. Finally, the freedom of sending files to anyone just like that, without any prompts, seems like a big no-no to me, especially since I could not find any way to tweak and configure the Telepathy client, other than the very rudimentary setup of various accounts. 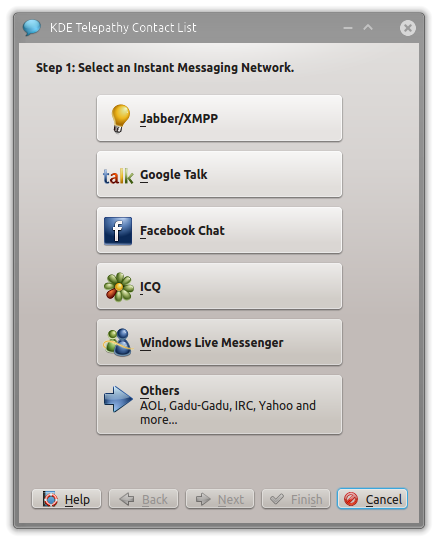 All in all, not bad, but hardly the one-stop shop for your instant messaging. That would be all fellas, enjoy. But empathy is a frontend of telepathy (which is the backend) in the same manner that kde-telepathy is.